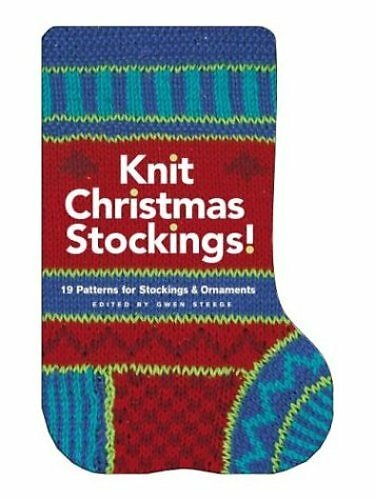 $12.47 on Amazon look inside this book! 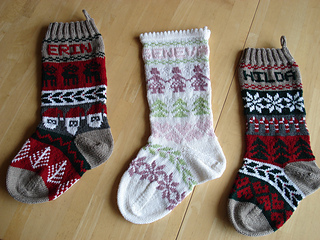 Choose either worsted or heavy weight yarn to design an original sock. 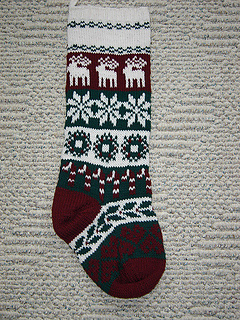 The 16 color charts can be mixed and matched. 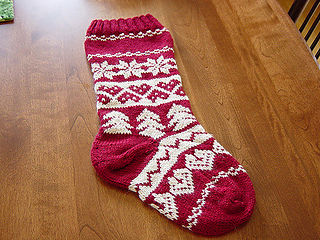 Circular needles and an after thought heel make the construction easy. 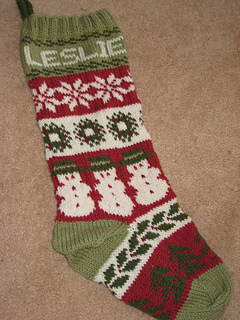 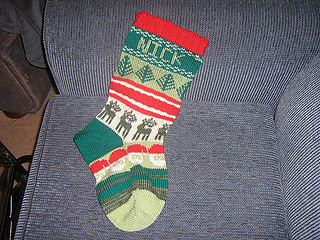 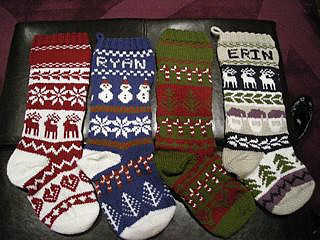 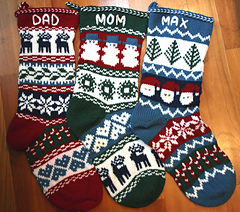 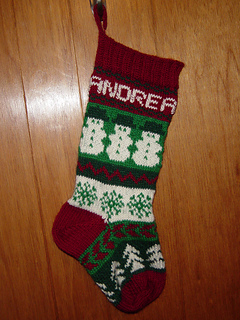 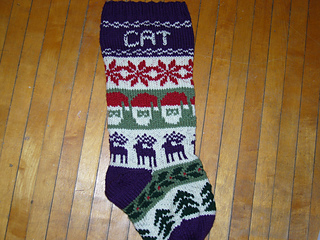 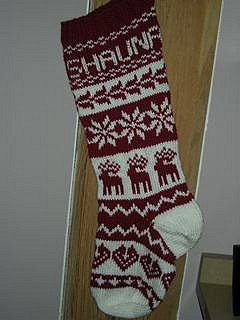 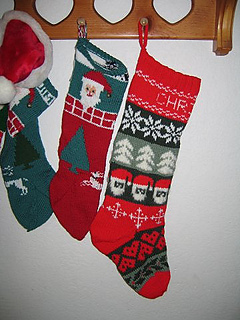 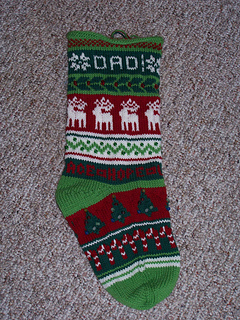 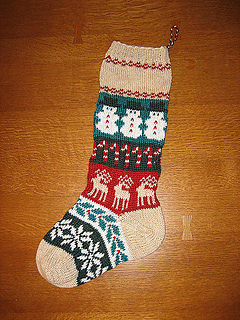 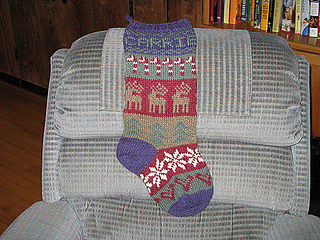 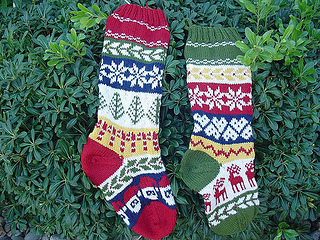 Christmas Socks is an older pamphlet version of this design. 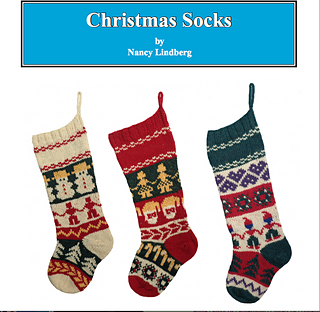 Mix-and-Match Socks are in a book and the directions are presented in a different format.